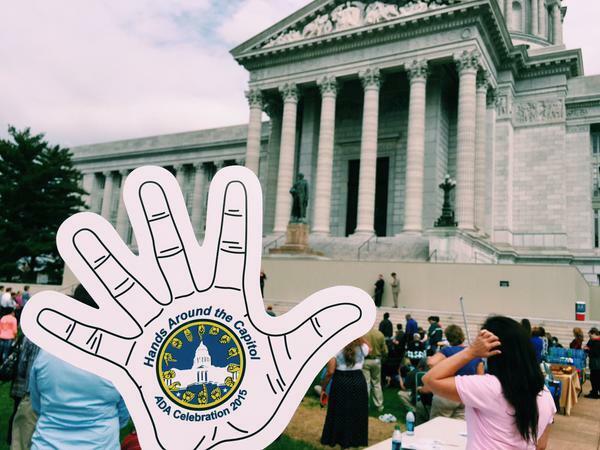 Hands united in solidarity at the Missouri State Capitol in support of those with disabilities. The event, Hands Around the Capitol, took place Tuesday afternoon in celebration of Disability History and Awareness Month and the 25th Anniversary of the Americans with Disabilities Act. Keynote speakers from a variety of backgrounds focused their addresses on the goals of equality for those living with disabilities. Speakers included, youth leaders, lobbyists and former legislators. Former State Senator Chuck Graham, who now serves as the Associate Director of the Great Plains ADA, spoke passionately about everyone’s ability to make a difference by getting involved in government. Graham also spoke out on the importance of Medicaid and the financial burdens that face many disabled Americans. Kevin Gadsey is the government affairs coordinator for Paraquad and served on the organizing committee that brought the event together. “To show our solidarity around the need for further changes at the legislative level, Missouri still has the lowest asset limit and one of the lowest income limits related to Medicaid for people with disabilities,” he said. Other speakers included Opeoluwa Sotonwa of the Missouri Commission for the Deaf/Hard of Hearing. Born in Nigeria, Sotonwa described the setbacks of being deaf in his own country and the influence of the ADA on his own life. Sotonwa said he went on to work with other attorneys to create similar legislation in Nigeria. He said that the ADA set a precedent for change across the globe. Following the speeches, everyone united hands around the capitol building. 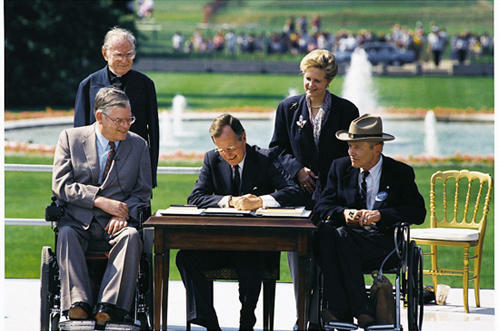 Since its signing in 1990, the ADA has brought about many changes. 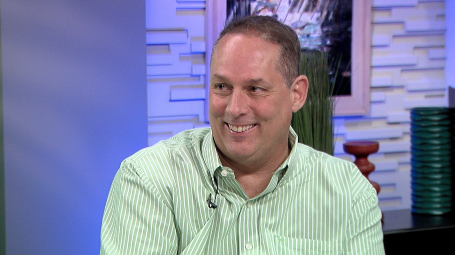 “We still have a long way to go, but we have come so far,” said Gadsey. Correction: An earlier edition of this article misspelled Executive Director Sotonwa's surname.